O glorious Virgin, Mother of God, blessed among all nations, worthy of praise and the greatest of praise, intercede for me with Thy beloved Son. O honored Lady, Mother of the King of angels and archangels, assist me and deliver me from every difficulty and danger. O blossom of the patriarchs, the virgins and the angels, hope of glory, beauty of virgins, admiration of the angels and archangels, remember me, and forsake me not, I beseech thee, at the terrible hour of my death. 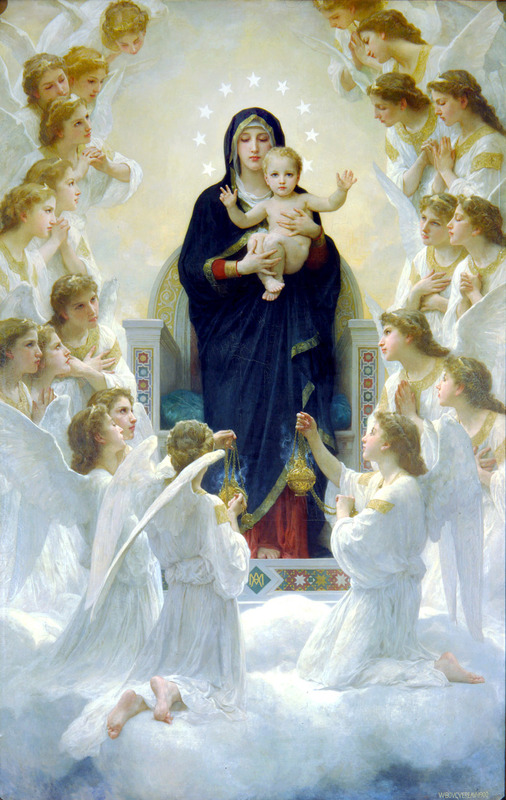 O star of the sea, gate of heaven, temple of God, palace of Jesus Christ, harbor of safety, flower of all nations, pearl of all sweetness, hope of the faithful; O Queen who shelters the guilty, who surpasses in radiance the virgins and the angels, thy presence gives joy to all the hosts of heaven. Therefore, O Mother of mercy, I place in the protection of thy holy hands my going out, my coming in, my sleeping, my waking, the sight of my eyes, the touch of my hands, the speech from my lips, the hearing from my ears; so that in everything I may be pleasing to thine own beloved Son. Amen.